We’re kicking off the month with some of my favourite inspo images from previous projects. This month on the blog Sascha showed you some of the latest trends in design and Jamie shared some of his favourite picks from local stores around Vancouver. Let’s dive right into it, why do I love Entryways & Mudrooms? It’s the first thing you see when entering your home, so it can make a big statement about your personality and how you live. It’s the first impression of the overall feeling & experience of your home, not only to you and your family but also to your guests. A lot of the time, an entry way/mudroom is where things get dumped, keys, bags & jackets, sometimes on the floor if you’re feeling really lazy. If there’s nowhere for you to place these things, all these objects come to the living area & get misplaced. I don’t know how many times my partner has asked me if I’ve seen his wallet. I had to do something because it was driving me mad! We installed floating shelves placed right next to the door for these things to land on. From there it spread with a fun mirror to quickly check your makeup on the way out and a few hooks for our jackets. No matter the size of your entry way (in my case, small!) there will always be an option to make the area functional and pretty. 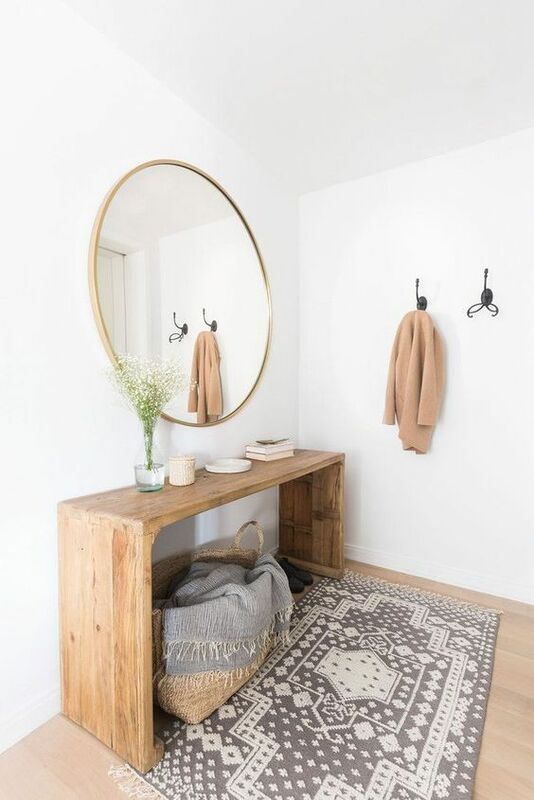 When looking at inspirational pictures of Entryways/ Mudrooms try to look at every aspect of the design, from flooring, finishing details to accessories. These small details really tie everything together and create the feel for your space. 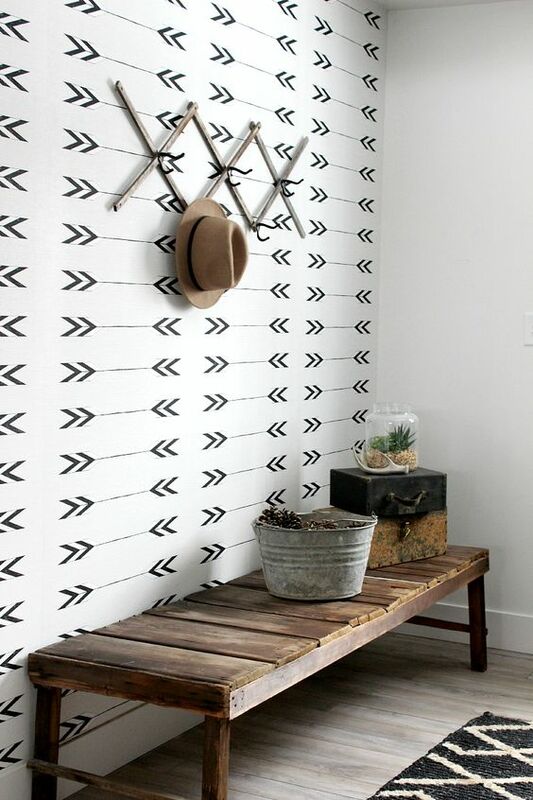 Spice up your entryway with fun lighting, daring accessories or bold wallpaper; or combine them all together. Create a stand out entryway that will have everyone wanting to come by to kick of their shoes and relax… I mean…place them on the shoe tray. Right? Let us know what images speak to you & reflects your personality. Is there anything that you will be showing us at our Meet & Inspire to make your Entryway/Mudroom a more practical and inviting area?